Organize a spice drawer and enjoy the extra room on your counter or pantry. 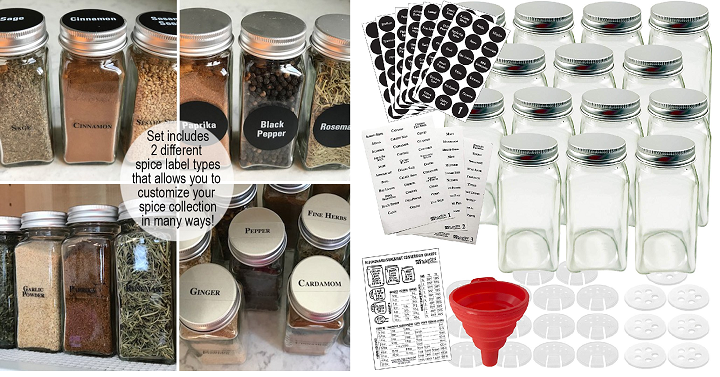 These Talented Kitchen 14 Glass Spice Jars with Labels is only $16.99! (Reg $34.99) Specially useful for small kitchens where counter space is a premium. I’ve seen many bloggers and influencers talk about these jars and how much they love them so now’s a great time to get a set for yourself!